How do I get a quote for Fire Proofing? What does Fire Proofing business premises involve? 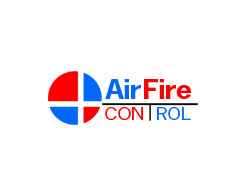 Looking for more information on Fire Protection & Fire Proofing and the services provided by Airfire. Please feel free to browse our help guides and topics withing our help & FAQ's section. Fire Protection & Fire Proofing Business Premises involves Penetration sealing, cavity barriers, fire curtains, walls, risers and generally anything to support Fire Compartmentation. Each project we undertake is treated individually to ensure all aspects of Fire Protection & Fire Proofing are undertaken and completed. To get a quotation regards fire proofing and protecting your business premises simply complete our quick enquiry form or alternatively give us a call on 01246 823740 and speak directly to one of our friendly team. 1A, Midland Court, Barlborough, Derbyshire, S43 4UL. © Copyright 2019. Airfire. All Rights Reserved.